There´re two different types of Motley existing, the colombian and the CA (Central American) Motley. So far, we only keep and breed the colombian Motley variation in our facility. This variation can be identified by their clear colour conturs and their connected back pattern, which are staying that clean their whole life. The colour of the animals is reaching from a bright grey pattern till deep black. 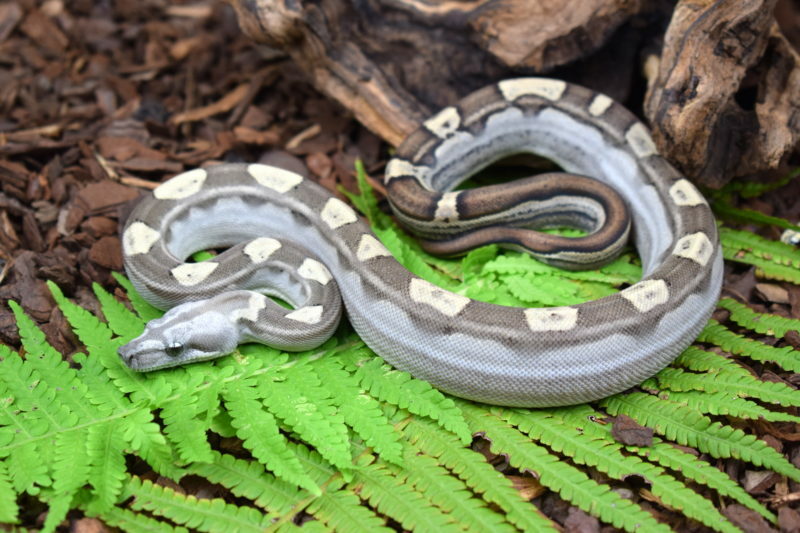 The Motley morph is very interesting by combining it with the well known colour variations (Albino, Hypo Salmon or Anery) and becomes real crazy if combined with Sonoran Leopards cause this is leading to mostly reversed striped animals! We are sure that there will be a lot of new morphs coming up in the future by combining the Colombian Motley with other pattern morphs.